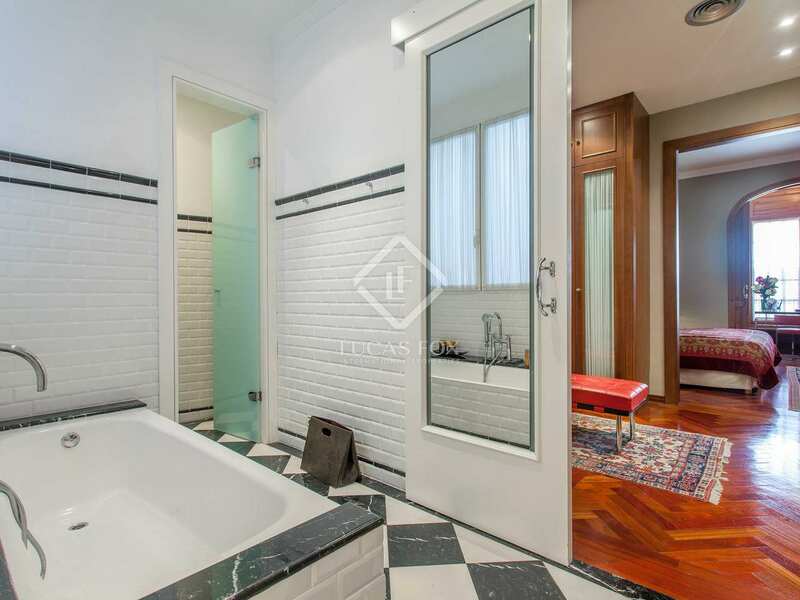 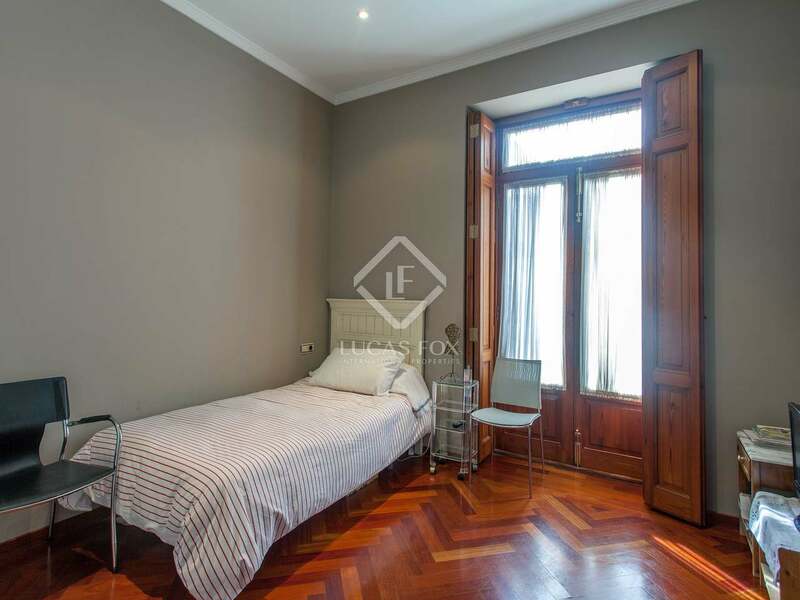 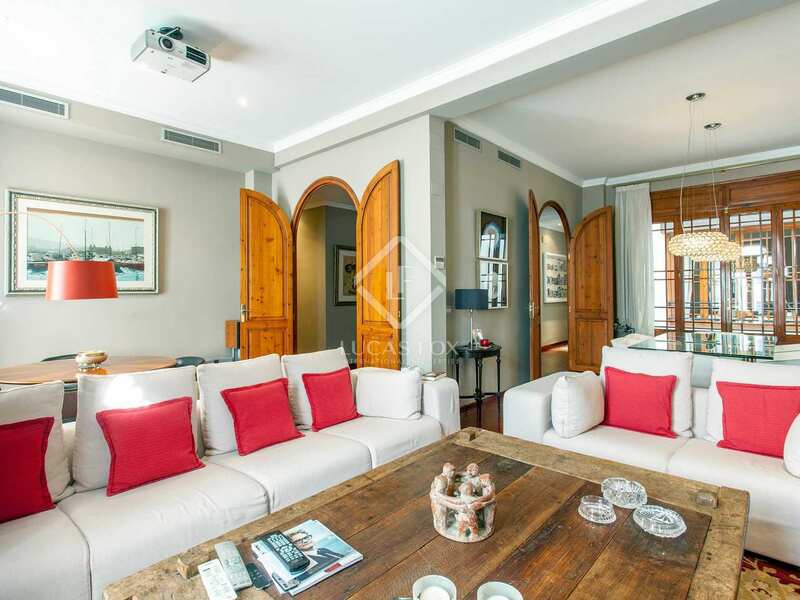 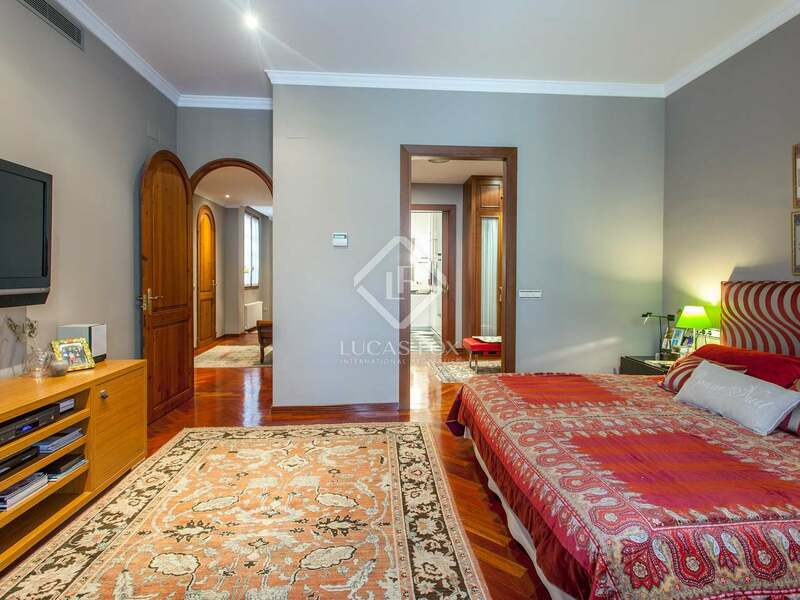 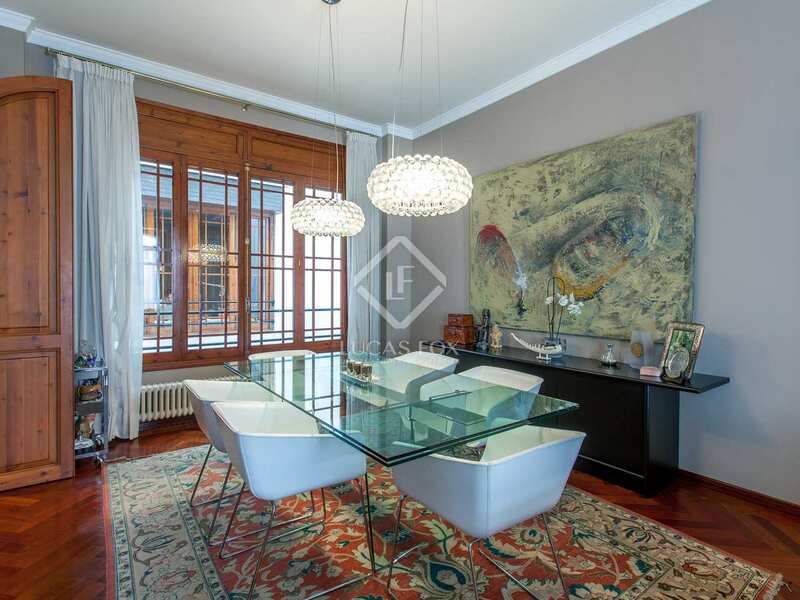 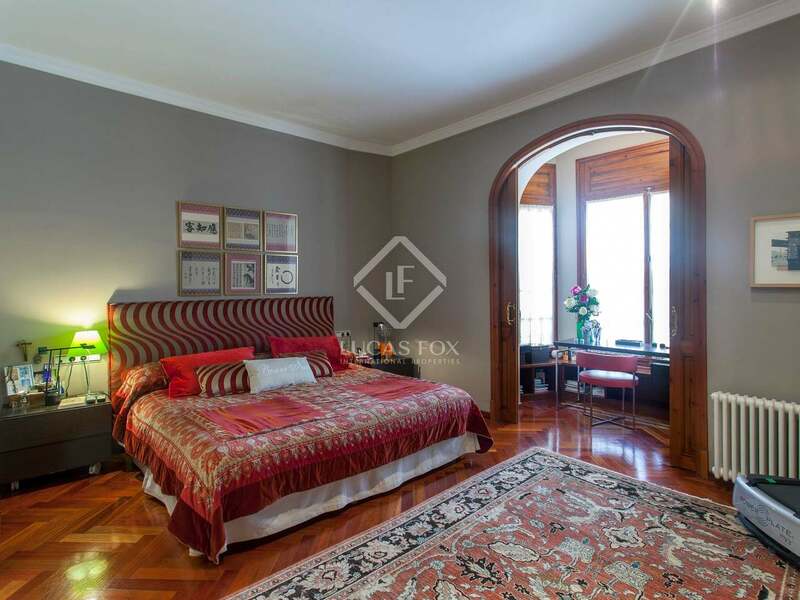 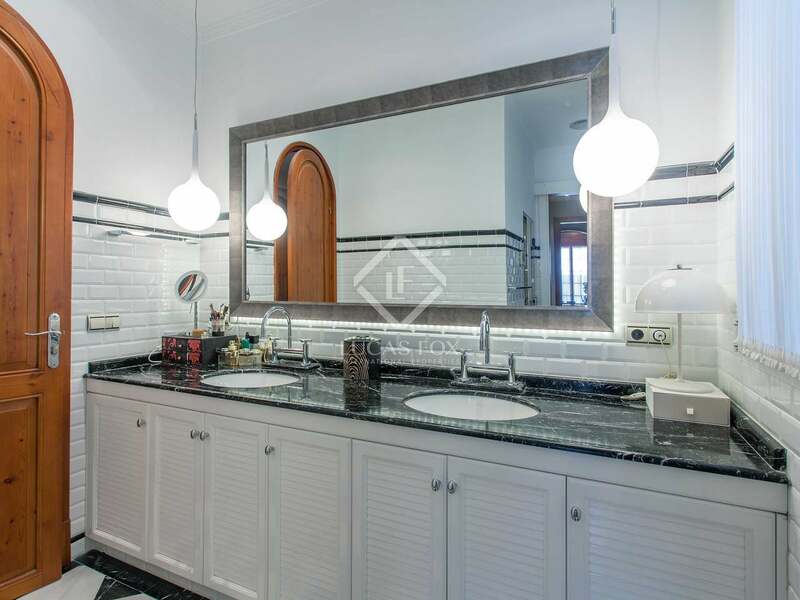 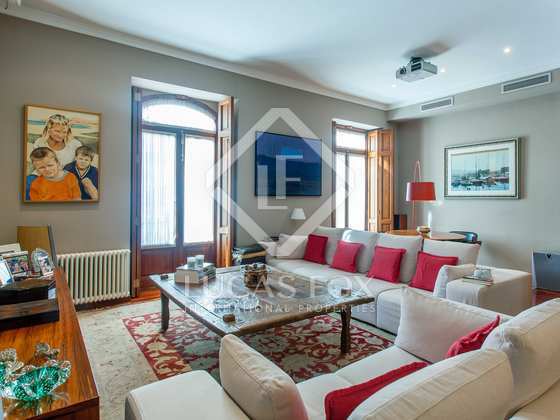 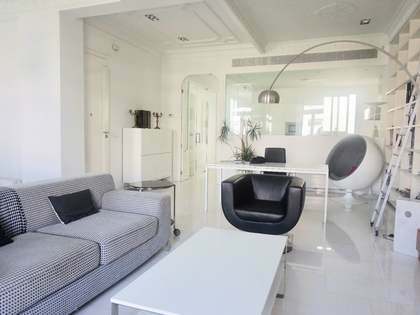 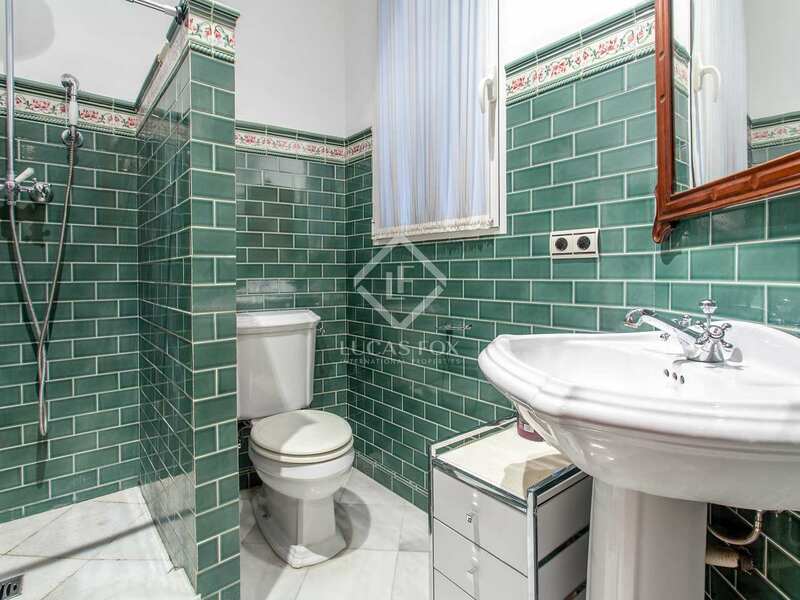 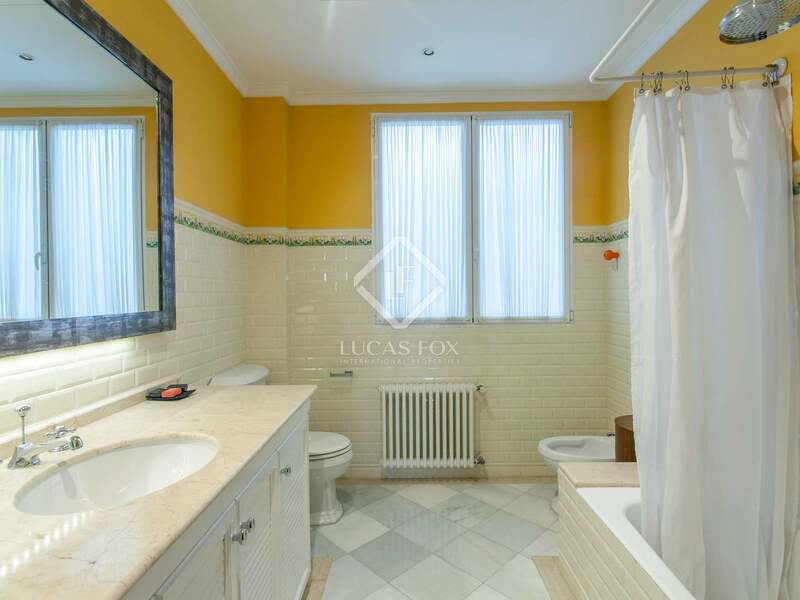 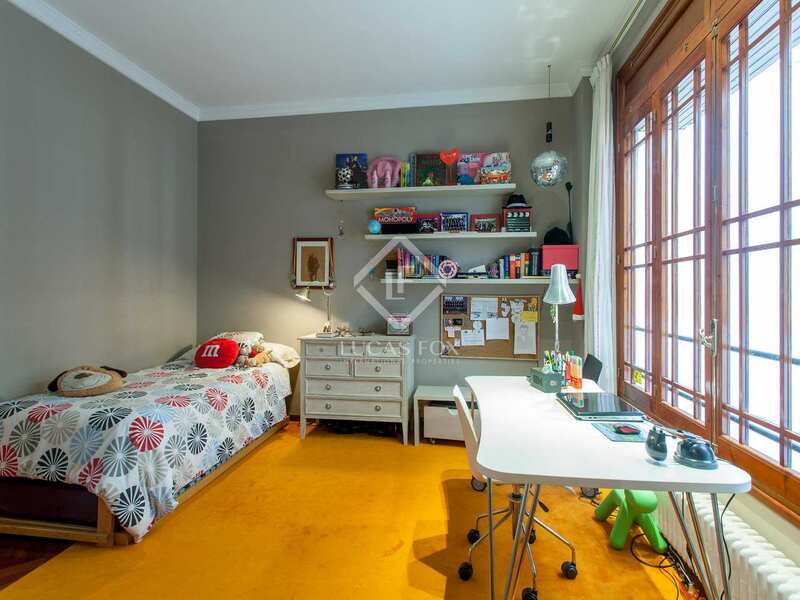 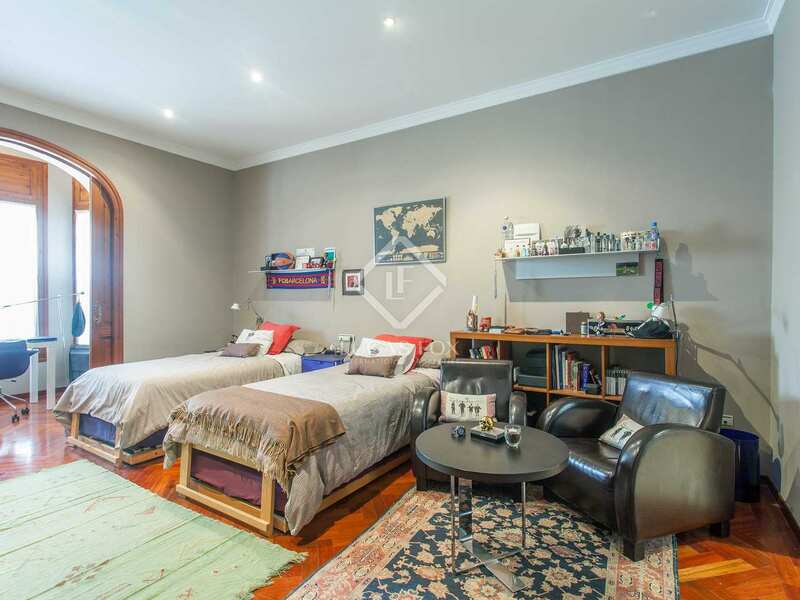 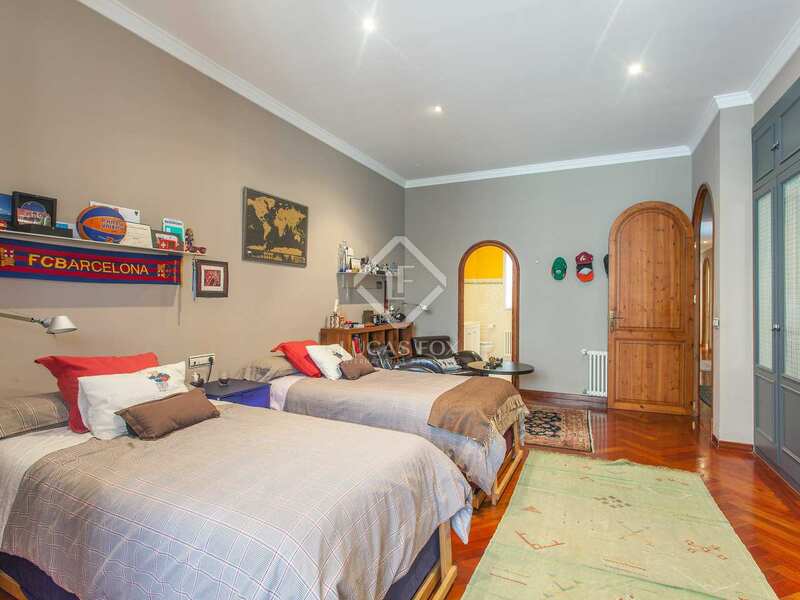 This apartment only available for long-term rental in a privileged location in Valencia's Eixample exudes exclusivity and luxury that can be felt as soon as we enter the front door. 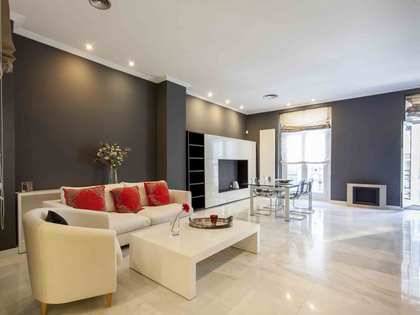 The hall is located in the centre of the home and provides access to the different areas of the apartment. 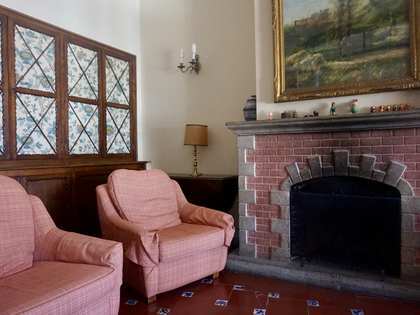 The living area and 2 auxiliary rooms are located next to the façade, the bedroom suites are located by the rear façade, and the service areas, i.e. 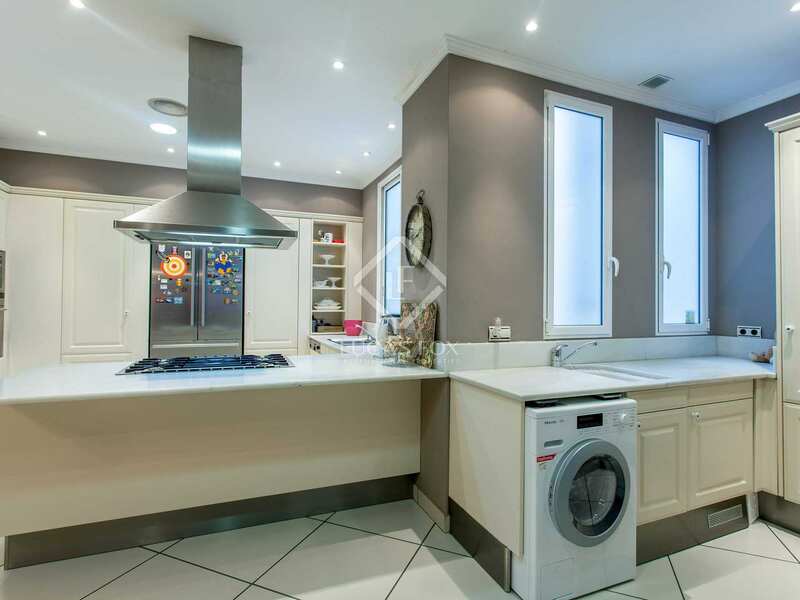 kitchen and bathrooms, are in the central section of the property. 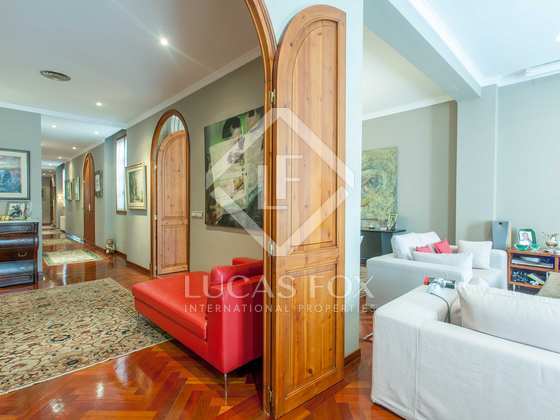 Four large elegant windows with Modernista shutters filter the light and provide privacy in the front rooms. 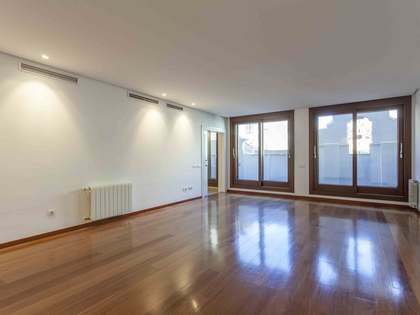 The main living room and dining room receive natural light from these balcony windows and a well-maintained interior courtyard. 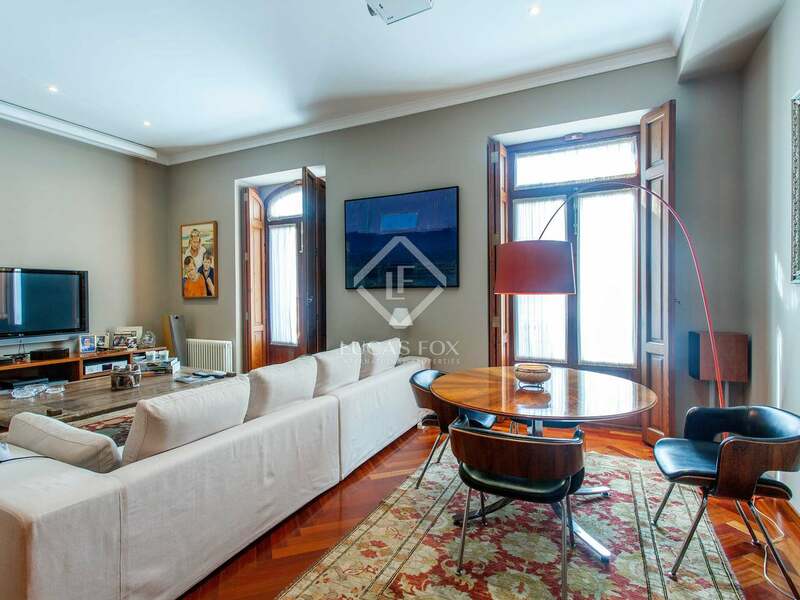 The high ceilings give the space amplitude and the combination of various types of wood creates an ideal cosy atmosphere throughout. 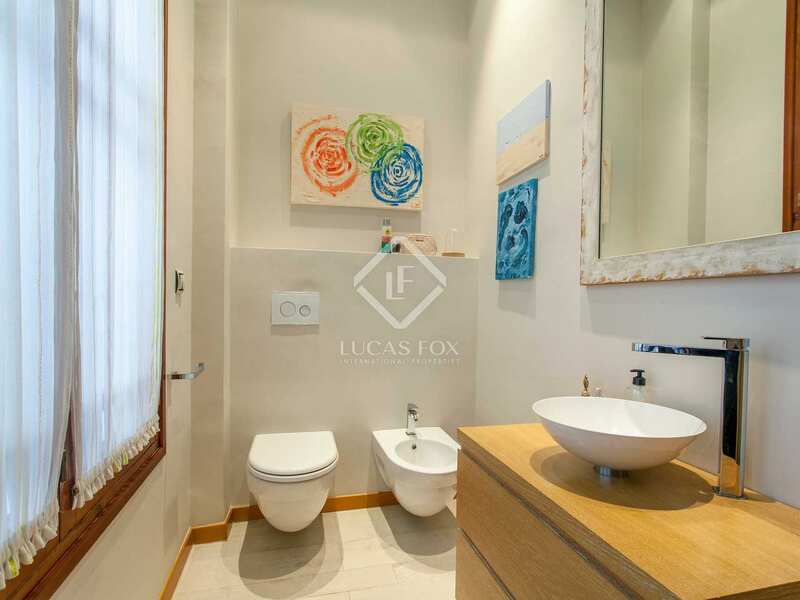 The master bedrooms boast well designed en-suite bathrooms. 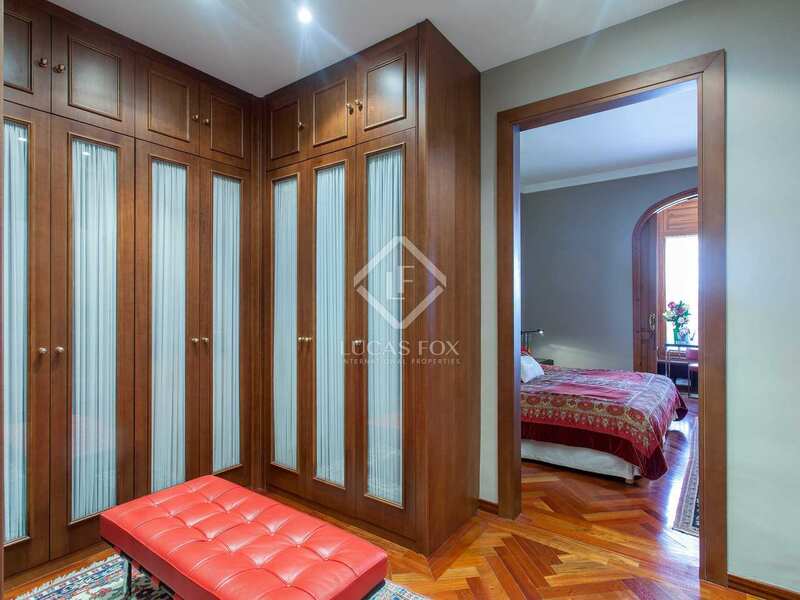 Two little annex areas built with fine wood feature in these bedrooms and frame a special space for relaxation. 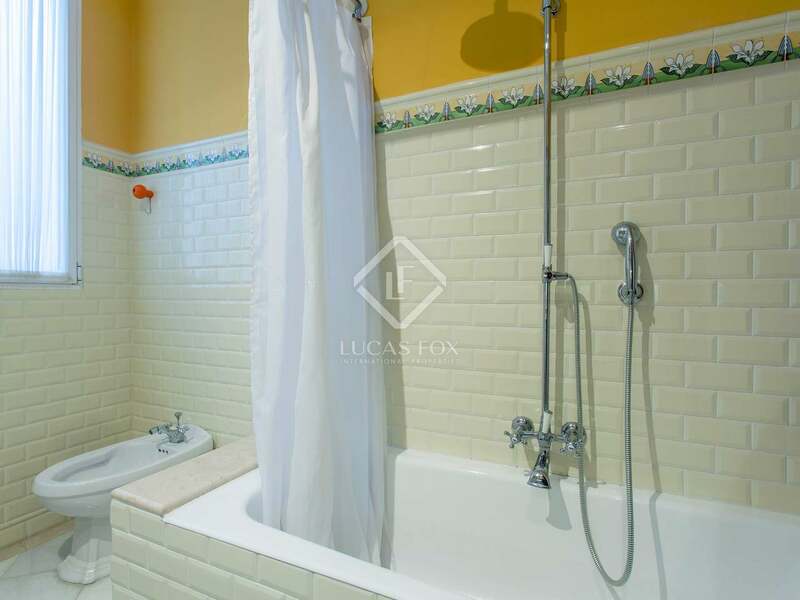 One of the bedrooms includes, besides the bathroom and annex, a great dressing room and a sauna. 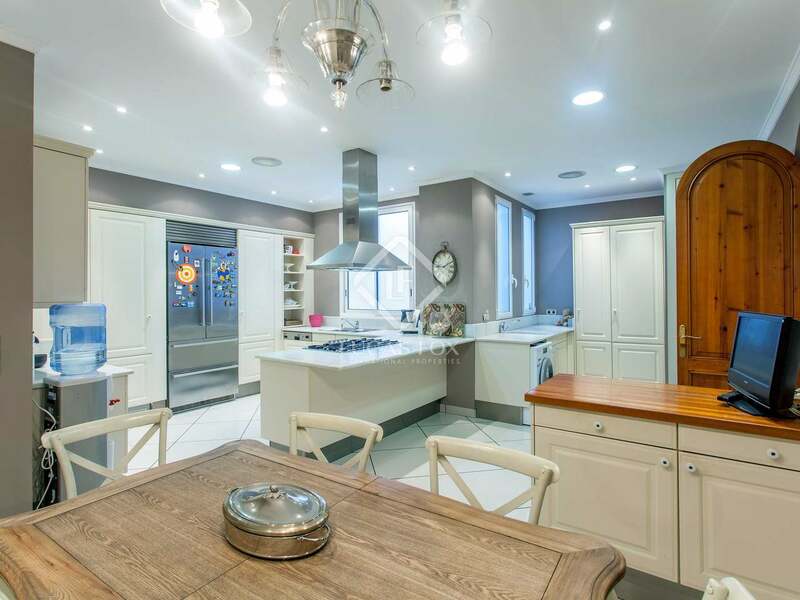 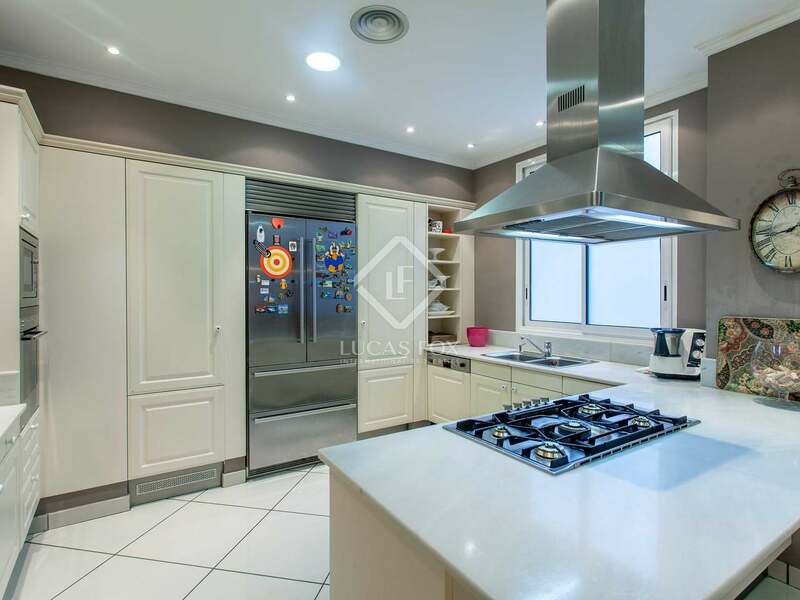 The kitchen offers a main entrance and a service entrance and, as well as a cooking and storage area, it has a utility area, and space for a dining table. 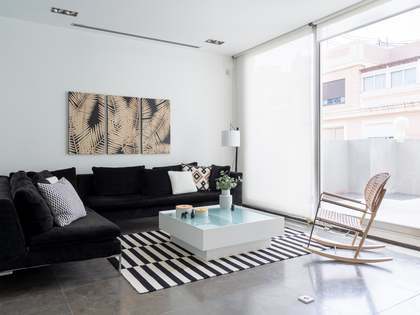 The alternation of the interior rooms with outdoor patios creates a magnificent sequence of indoor-outdoor space throughout the home. 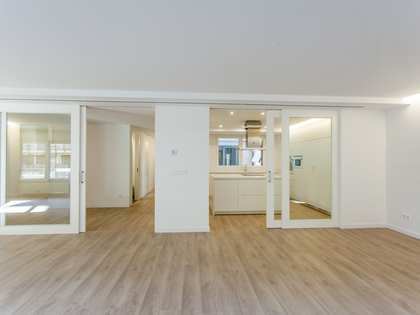 This architectural strategy is undoubtedly a highlight of the property and, together with the careful choice of materials, makes it the ideal place to live in exclusive surroundings in the centre. 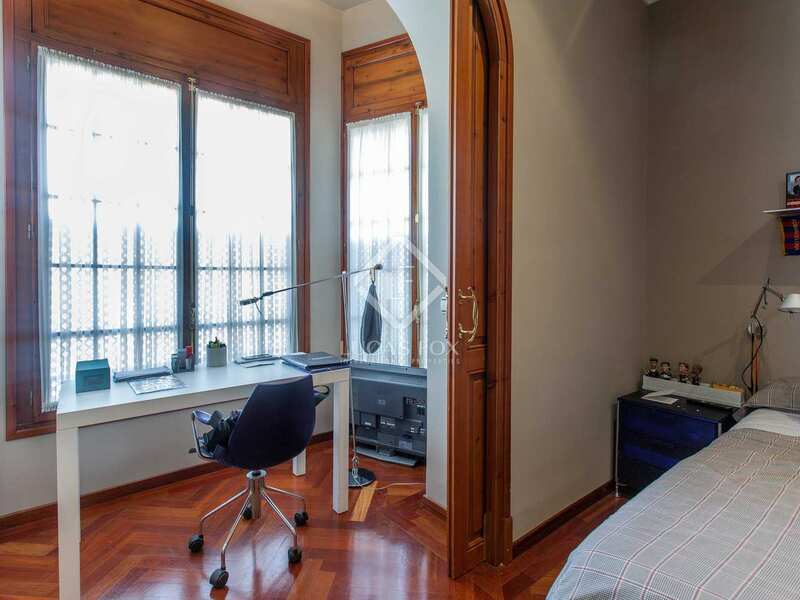 Pla del Remei is a highly sought-after residential area close to the financial and administrative centre of the city, which makes it ideal for those who want to be able to walk to work. 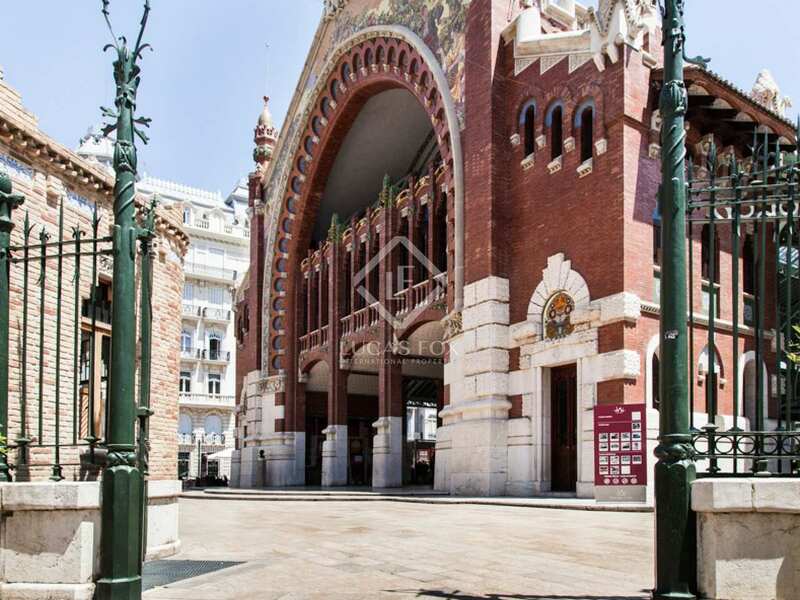 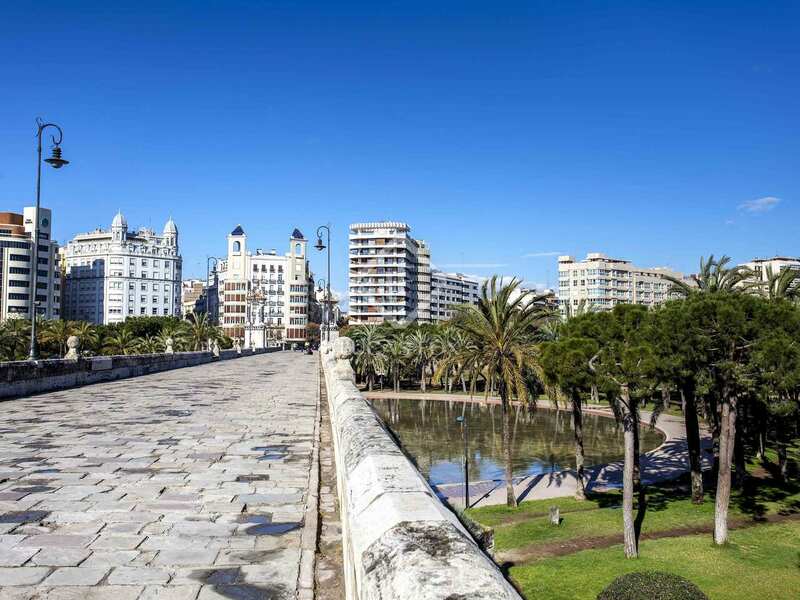 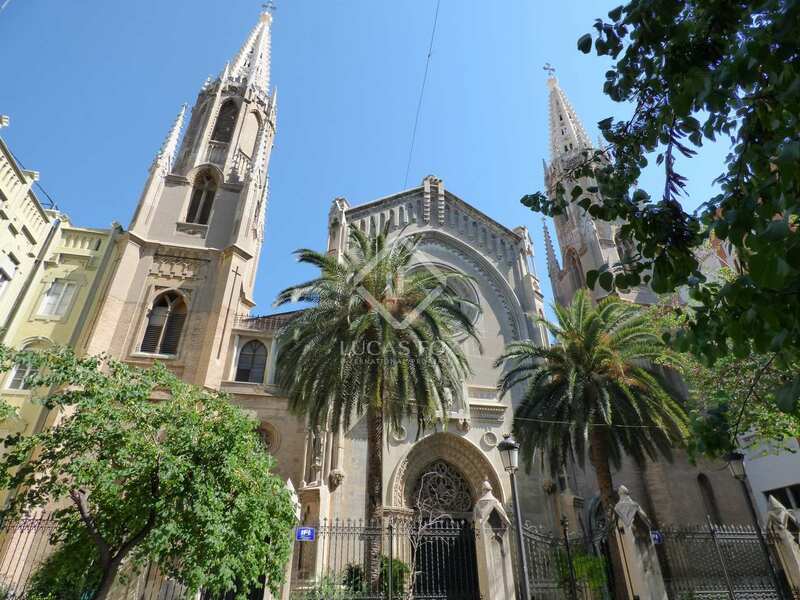 It is also close to the Turia Gardens and many of the city's best shops and most important buildings, such as the Colón Market. 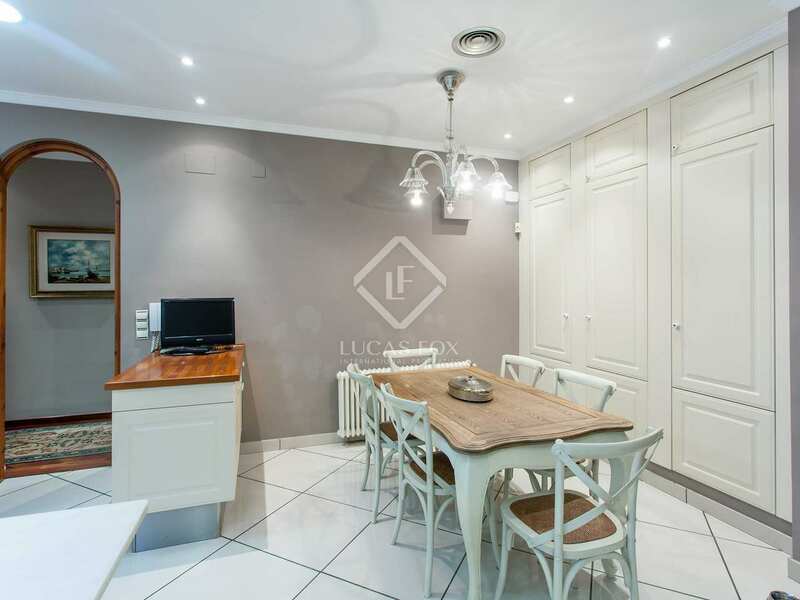 For rent, Apartment €2,500 pcm.